The Augusta Economic Development Authority announced today that Starbucks will nearly double the size of their Augusta manufacturing facility, adding 140,000 square feet to their current 180,000 square feet, and will create up to 100 new jobs. 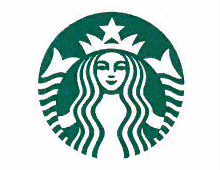 The announcement was made this morning by Starbucks Corporate Headquarters in Seattle. ability to retain dynamic companies and support industry leaders in long-term growth. With this facility expansion, Starbucks will continue to enjoy the benefits of manufacturing in the top state for business, while creating new jobs in the Augusta area, including additional opportunities for veterans. the Northeast and Southeast United States. Both Ingram and Sprouse thanked Adela Kelley of the Georgia Department of Economic Development and Dr. Lisa Palmer of Augusta Technical College for their work on this project. When finished, Starbucks will have more than a quarter of a billion dollars invested in Augusta-Richmond County at the Augusta Corporate Park.